When this Ram van appeared in my driveway I thought UPS was making a delivery to my house. 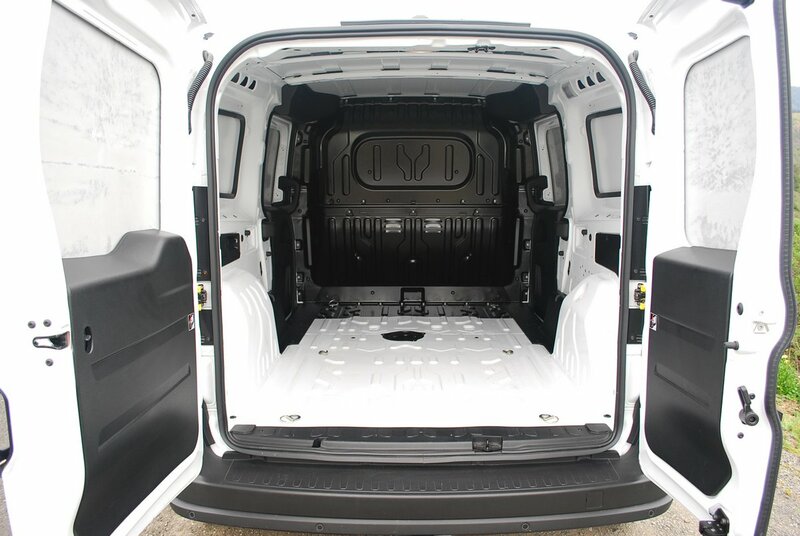 Though the Ram Promaster reeks of industrial chic, it proved to be an able and willing companion for a week of test driving. This windowless van, introduced last year, has a rather circuitous background. After Fiat took over Chrysler, they separated Ram trucks from the Dodge Division by eliminating the Dodge name from the Ram brand. To complicate matters further, Fiat began selling its own Italian brand of truck last year in America. 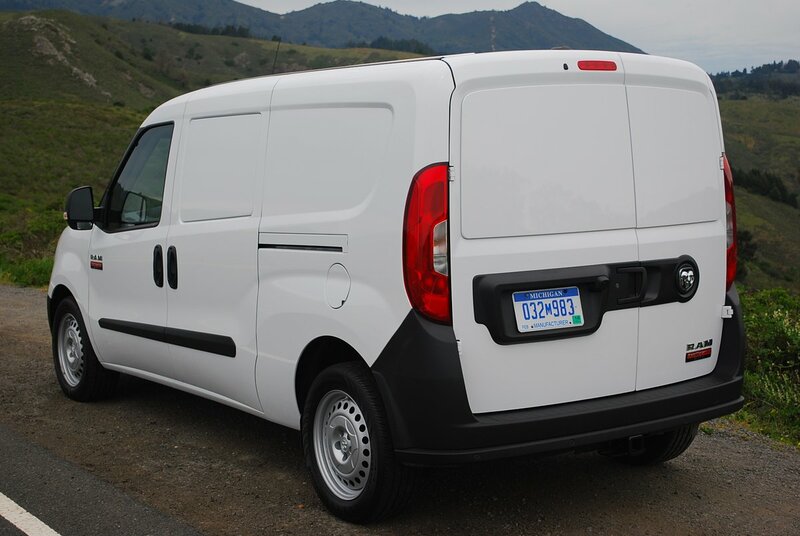 The Ram Promaster is actually an Americanized version of Fiat’s Ducato, an Italian commercial van. To put a cap on the van’s confusing national identity, it’s built for Fiat/Chrysler/Ram in Bursa, Turkey! When you see this Ram you immediately know its derivation is European. Americans are conditioned to expect delivery and tradesman trucks like this to look utilitarian and humble. The Promaster looks nothing of the sort. For what is essentially a moving brick, it eschews banality in favor of Italian flare. Just look at the graceful swept arc that connects the grill to the roofline. The heavily slanted windshield fits right into this continuous line, making the van look aeronautic rather than pedestrian. Upturned side windows and headlight nacelles confer an elegance rarely seen in American truck design. 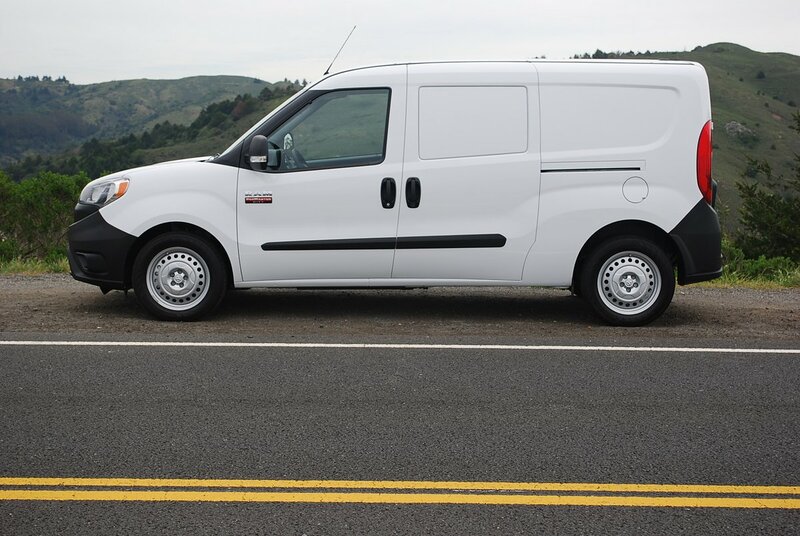 Considering the Promaster’s resoundingly low base price of $24,130, you’re getting a design brief worthy of the museum of modern art for the price of a T-shirt print. This Ram does for tradesfolks what the Olivetti typewriter did for secretaries six decades ago: provide affordable, utilitarian modern art. 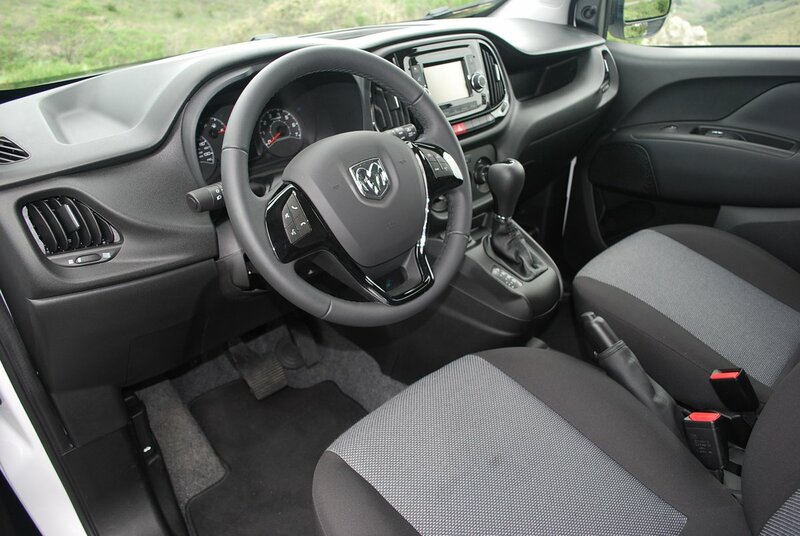 Driving the Ram comes as a pleasant surprise, since its hefty 2.4 liter Multiair inline 4 cylinder engine makes more than enough horsepower (174hp) to move this rig with alacrity. Helping extract maximum performance is a sweet 9 speed 948TE automatic transmission that allows you to select any of its multiple ratios manually. The front-wheel-drive Ram will tow up to 5,100 lbs. and carry 5,274 lbs. of cargo. Its tall roofline makes it possible to stand nearly erect in the cargo area, and I could easily envision turning this space into a rather nifty camper unit offering maximum security thanks to the lack of windows. Even with its substantial frontal area, the Ram still manages 29 MPG on the freeway. Although the 16 x 6.5 inch silver steel wheels look rather undersized on such a large vehicle, the 215/55R16 Continental tires manage to deal with even the sharpest curves without protest. The cabin proved comfortable and useful. 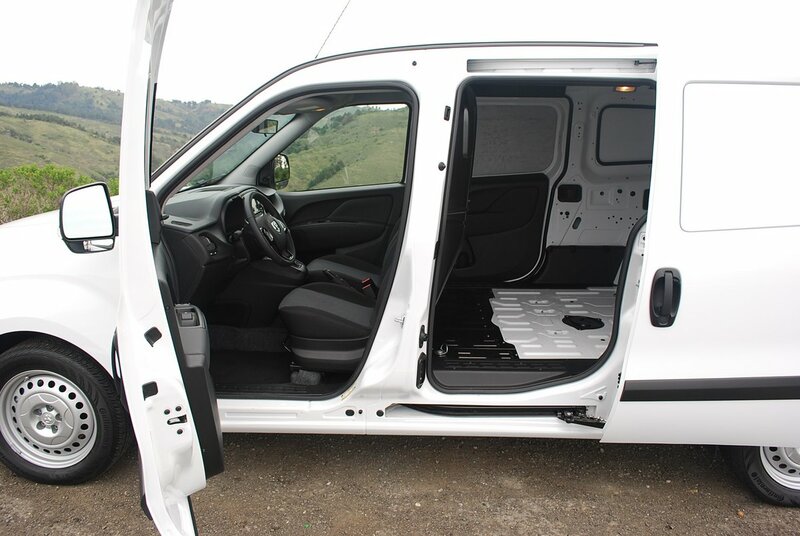 Door pockets include receptacles for water bottles, a netted overhead bin runs the full width over the windshield, and the seats offer excellent lower back support. While rear vision is nil due to the cargo embargo, a backup camera ($495 extra) serves as an admirable guide on the 5 inch touch screen display ($465 extra). Surprisingly, the two elephantine outside rear view mirrors are manually controlled rather than power assisted. The joystick on the right hand mirror failed to operate properly, and the receptacle for the prop supporting the hood was already broken due to poor fit. So don’t expect Ferrari quality from this Fiat masquerading as a Ram. 2008 Mazda CX-9 Review – the Zoom, zoom, zoom SUV!